Charles Duna Primary Goes Green! Miss Zweni, and her green team are very passionate about getting a recycling programme started at Charles Duna Primary in New Brighton. The Waste Trade Company was recently invited to do an assembly talk about the importance of recycling for the pupils. The pupils eagerly participated with the waste separation games and read out The Schools Recycling Pledge together. The School Principal, Ms Nomulela Sume also supports Ms Zweni, their green champion, with the initiative, “We want our pupils to understand why we need to look after our planet.” The school is working on appointing green prefects to assist with monitoring their recycling station and to motivate the rest of the school to keep recycling. The rebate received from The Waste Trade Company for the recyclables will be ploughed back into all green activities at the school, including their lovely vegetable garden. 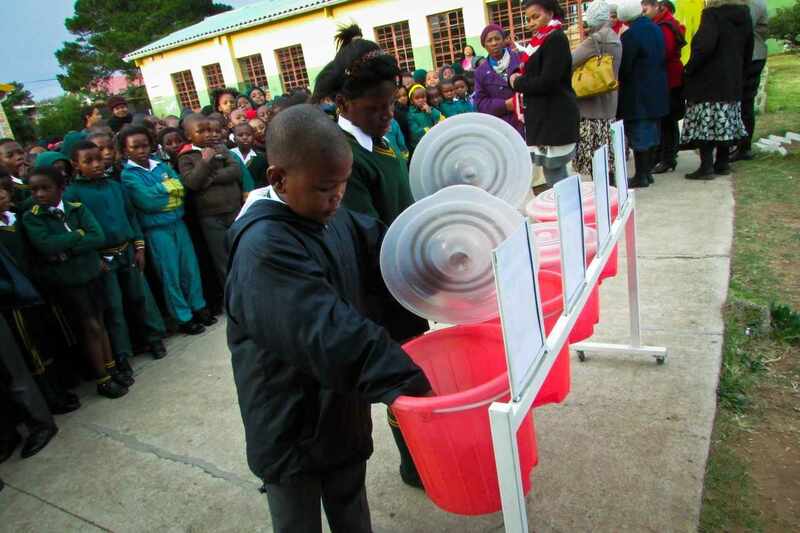 With approximately 900 pupils attending the school, they have huge potential to do very well with the recycling project and the school intends to get all learners on board.